There’s no way in hell I’m a good enough writer to do justice to this week’s pick — hearing Sheena is a Punk Rocker for the first time quite literally changed my life, and before that little 2-minute, 49-second monster was over, The Ramones had become my favorite band. I went from being a schlubby, dorky, introverted nerd to being a schlubby, dorky, introverted nerd who loved The Ramones, and while that might sound like a joke, believe me, it meant something. Sheena was on their third album, Rocket To Russia (1977), so I came to the party a little late but then again, it was kind of hard for a 14-year-old to access stuff like The Ramones in Albuquerque at that time — I didn’t exactly hang with the cool kids, after all. In fact, their follow-up Road To Ruin (1978) was already out by the time I discovered them — but hell, that just meant I had four entire Ramones records to dive into. Of course, Rock N’ Roll High School (1979) — produced by Roger Corman, directed by Allan Arkush (with a little help from Joe Dante and Jerry Zucker) and starring PJ Soles, Mary Woronov, Clint Howard and Paul Bartel — is one of my all-time favorite movies. The image quality of the clip below is a little sub-par but it’s still a great scene (and a great song). I faithfully bought every new Ramones album as they were released, up until the band called it quits in 1996. End of the Century, released in 1980 and produced by Phil Spector, included this cover of The Ronettes’ classic Baby, I Love You — which, blasphemy though it may be, I like better than the original. 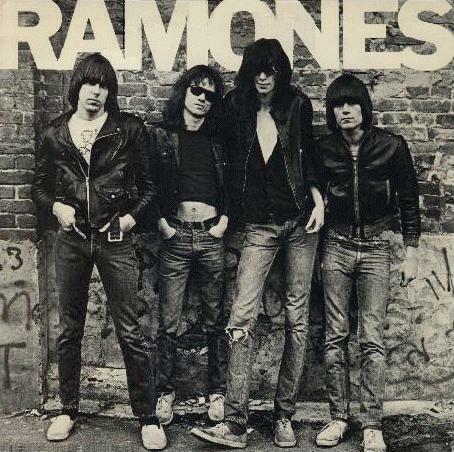 In fact, much like Joan Jett, The Ramones always managed to make their covers sound like they owned ’em. The clip below of the band performing Pinhead (from Leave Home, 1977) features the famous chant from Tod Browning’s Freaks, but to a kid like me, it felt like the band was welcoming me into the clubhouse. For me, The Ramones were a gateway to other punk bands, and although I really dug those bands at the time, I find that I never listen to ’em these days — but I still put on The Ramones and my love for their music has never waned. I think the difference is, at the end of the day, when you take away the initial thrill of the rawness of those other punk bands (and once you’ve outgrown the naivete of the politics and the anger), you’re left with a handful of guys who could barely play their instruments while another guy yells over the noise. Despite their three-chord simplicity and punk sensibilities, though, The Ramones delivered catchy pop melodies and terrific hooks, and those songs stand the test of time. There are a zillion other great tracks I could include here, that’s for sure. Sadly, Joey died of cancer in 2001, Dee Dee died in 2002 from a heroin overdose, and cancer took Johnny in 2004. I consider myself fortunate to have met Johnny and Joey — I only wish I’d had the sense to tell them how much their music meant to me.